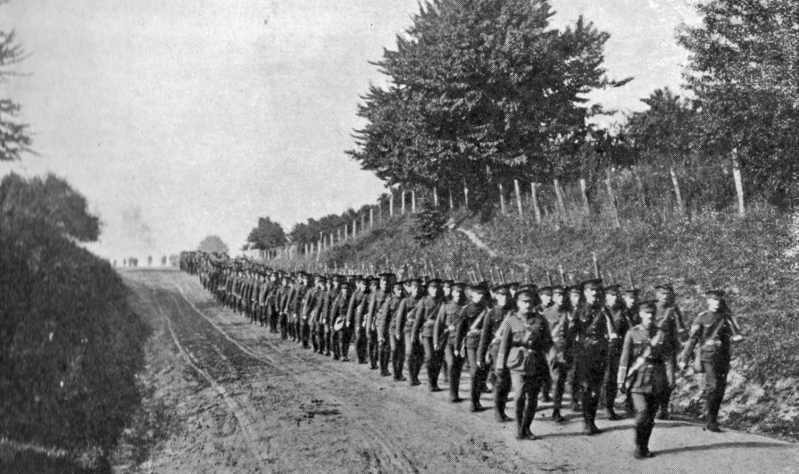 During the First World War more than 75,000 men and women in the Canadian Expeditionary Force trained for service at Niagara Camp. 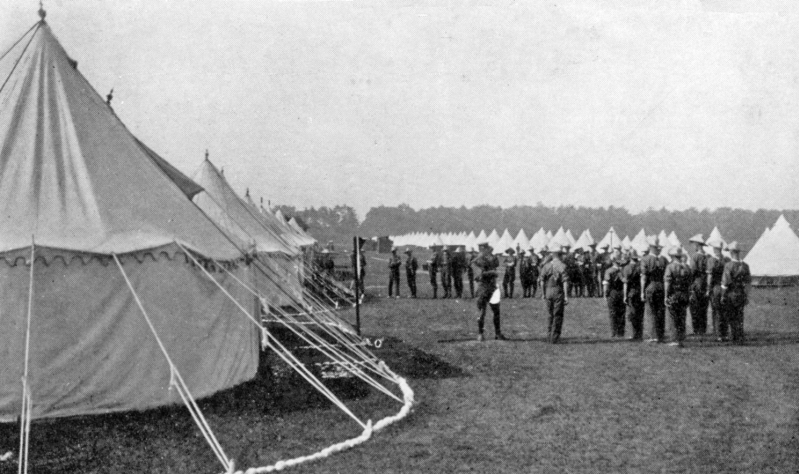 The camp at Niagara-on-the-Lake had been established in the late 1800s. My uncle, Private Oscar French, trained at Niagara and wrote many letters home from there. These photos are taken from a postcard booklet published by George Clark of Montreal. The booklet would have been very popular with soldiers to send home to their families and show what they were doing to prepare themselves for the conflict in Europe. My uncle's enlistment was confirmed on June 15, 1915. He died at Vimy Ridge on April 9, 1917. 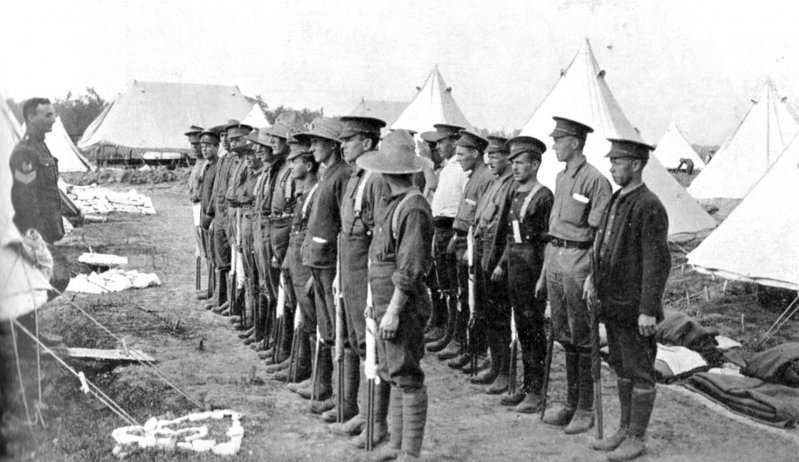 Niagara Training Camp was a major training centre for recruits from Ontario who were joining the Canadian Expeditionary Force in the First World War. These photos are copies of postcards produced in booklet form by George Clark of Montreal. They would have been very popular for recruits to send home to show their families how they were preparing to meet the enemy in Europe. 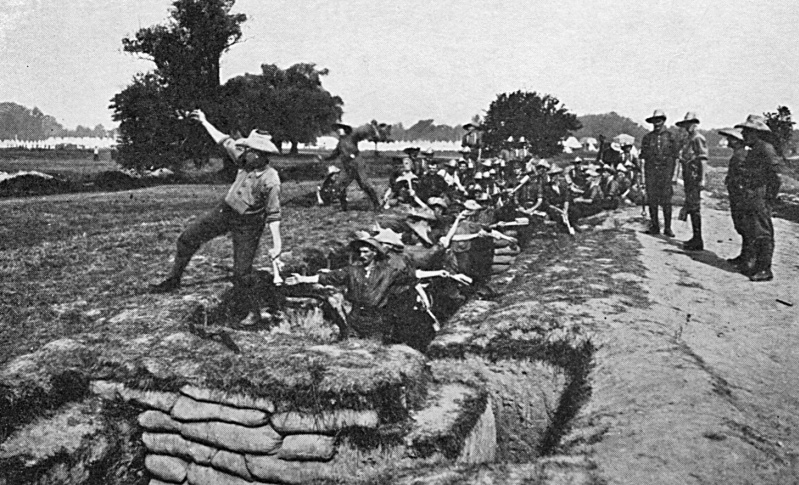 Army recruits practise throwing grenades from the trenches at Niagara Camp. Machine gun training at Niagara Camp. My Uncle Oscar became a machine gunner. 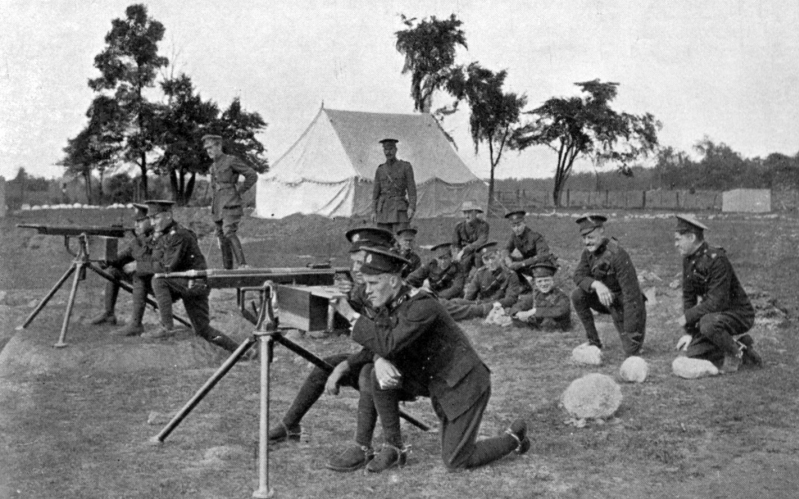 Army recruits practise field artillery at Niagara Camp, First World War. 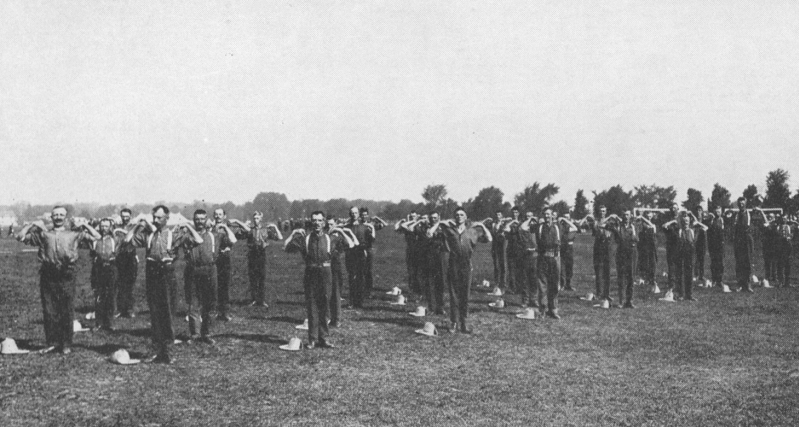 Recruits embark on a route march through the countryside around Niagara-on-the-Lake, Niagara Camp. 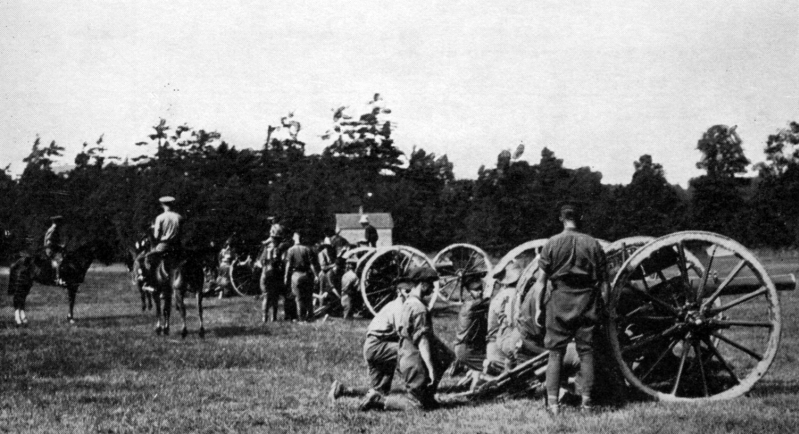 Signallers receiving instruction at Niagara Camp. Getting into shape and maintain fitness was a critical part of military preparedness. Gathering on Pay Day was always a popular activity. Regular pay was $1 a day; 10 cents more if you were on active duty at the front. 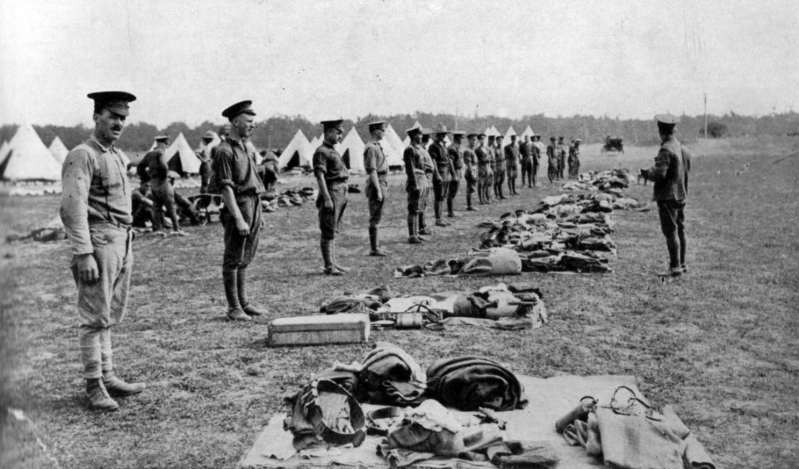 Overrseas recruits receive a kit inspection, Niagara Camp.